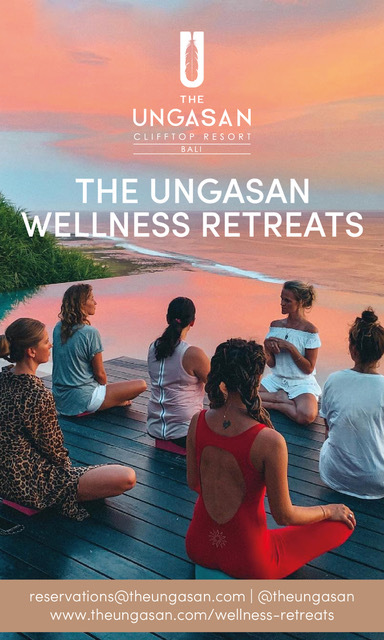 Ever fantasized what it would be like to be stranded on an unknown island, with every luxury you could possibly ask for? 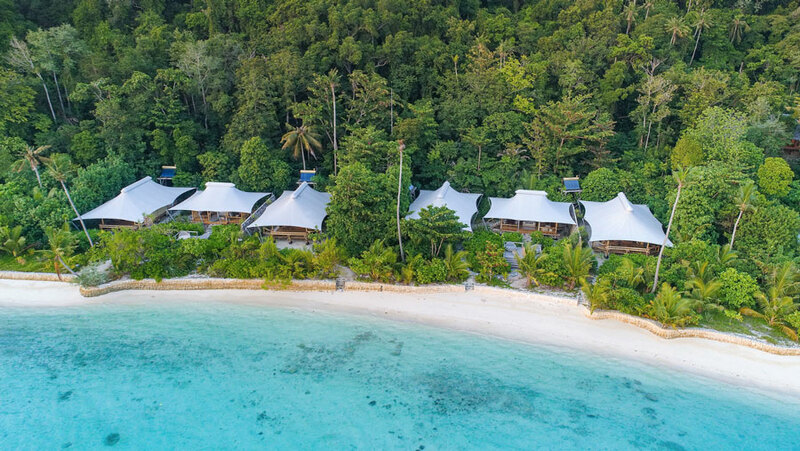 Make your dream reality by booking your next getaway at a newly opened private island paradise Bawah Reserve. 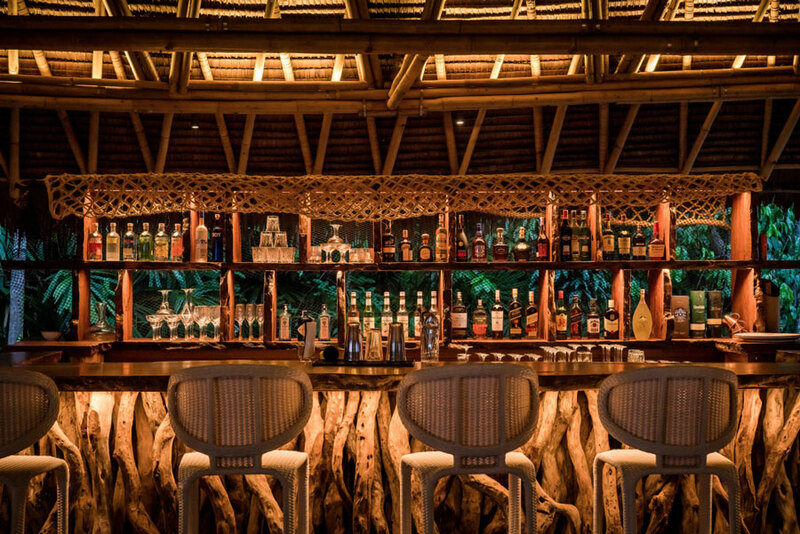 Warning: you might not return home after living it up Modern-Robinson-Crusoe-style! 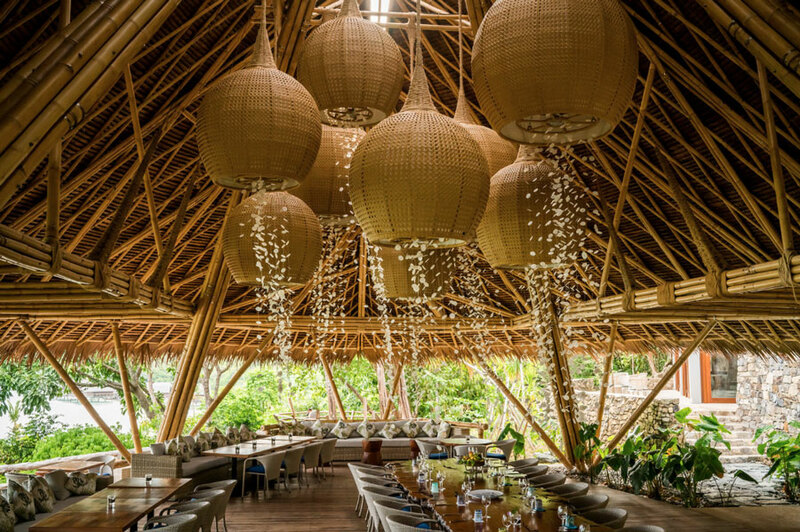 Opened in July 2017, Bawah Island is the new destination for discerning world eco-travelers, only 3.5 hours from Singapore. 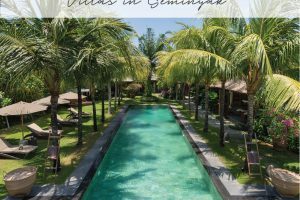 The luxury island resort accommodates a maximum of 70 guests in 35 private suites or villas that have been designed to allow you to relax and recharge surrounded by the island’s stunning nature. 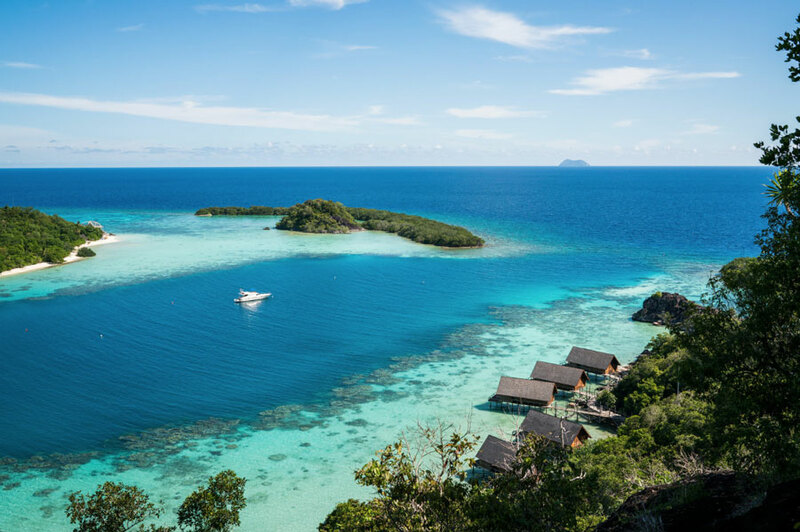 Bawah Reserve has 11 Overwater bungalows and 21 beachfront suites overlooking a pristine lagoon with unbeatable sunset views. 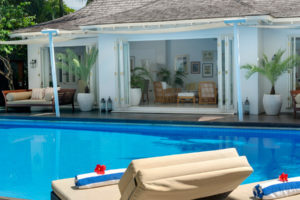 The 3 garden suites are surrounded by green flora and butterflies. 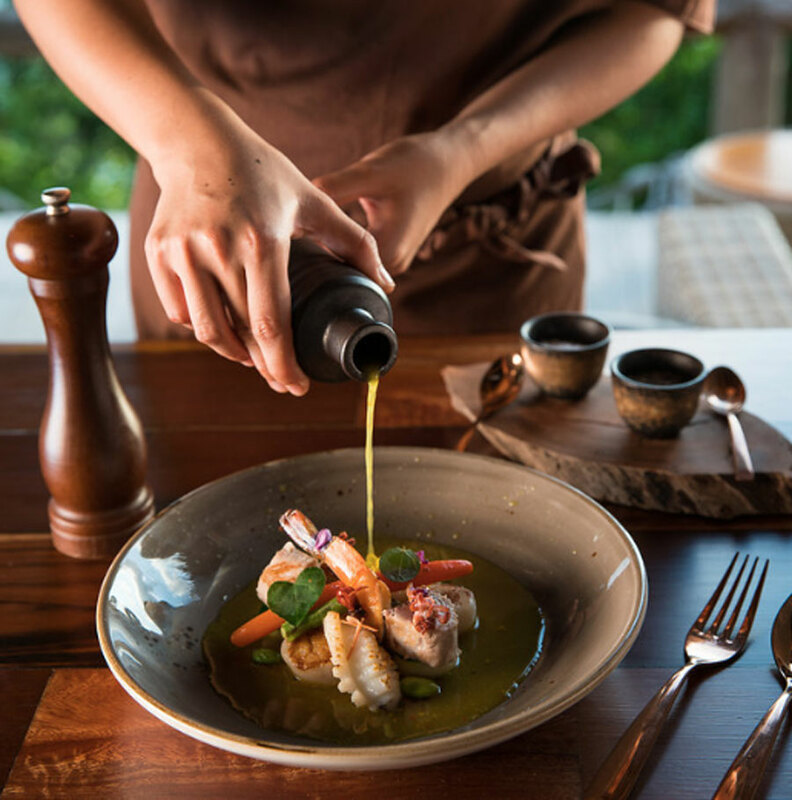 Each rate is a complete package including full round trip transfers from Singapore (including luxury car, express immigration clearance, and Bawah private seaplane), daily meals (breakfast, lunch and la carte dinner), soft drinks, wellness centre and surface water sports. 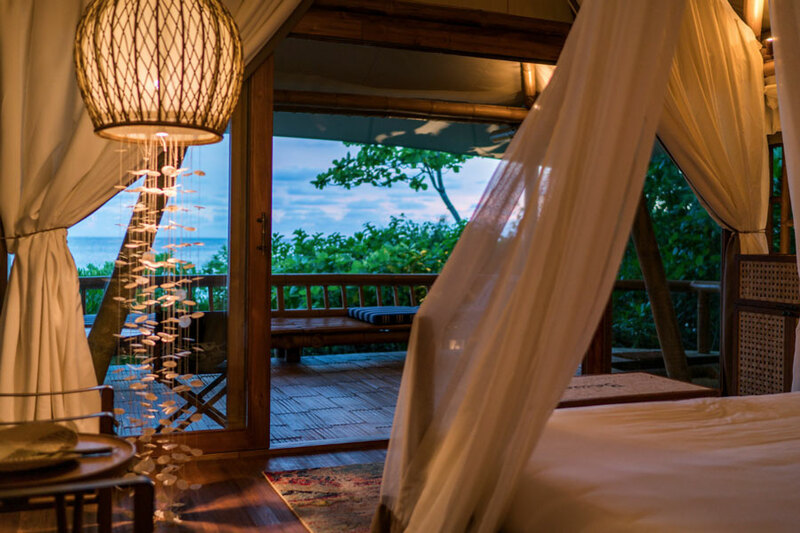 Nestled amidst lush jungle, just back from the beach, the 3 garden suites are elegantly crafted for style, comfort and privacy. 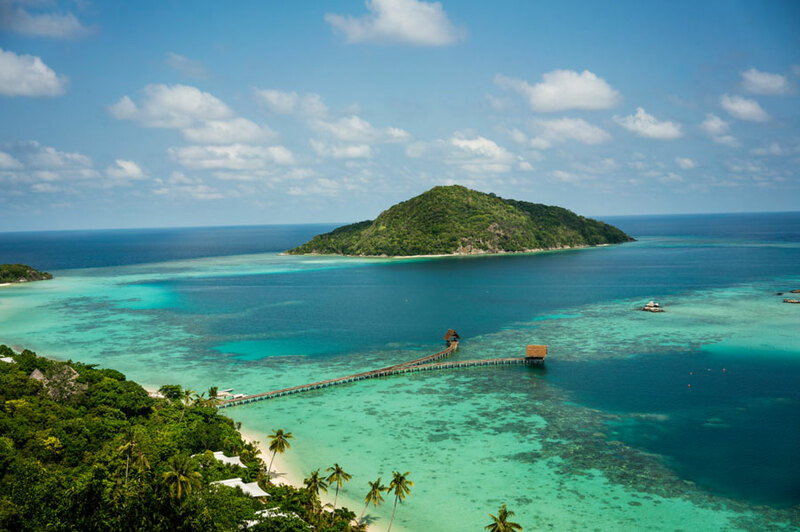 Stunning views of the lagoon greet you from Bawah Island’s Beachfront Suites. 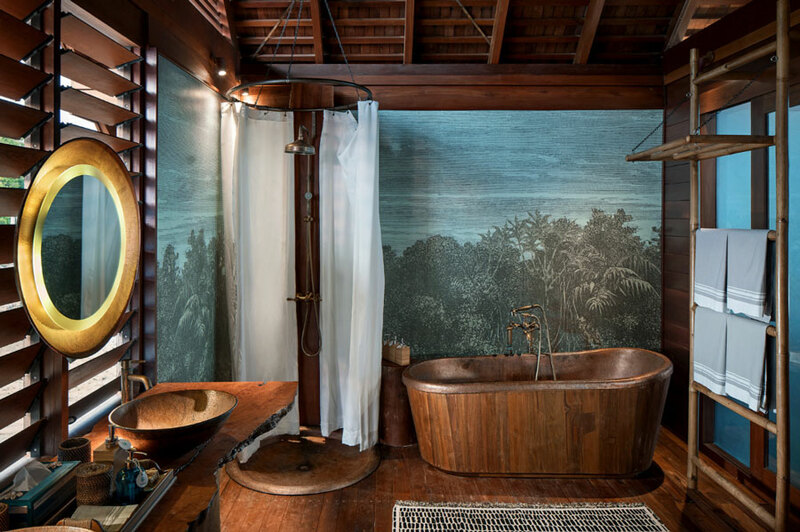 Crafted from bamboo the safari-like beach suites are eco-friendly with a modern yet exotic finish. 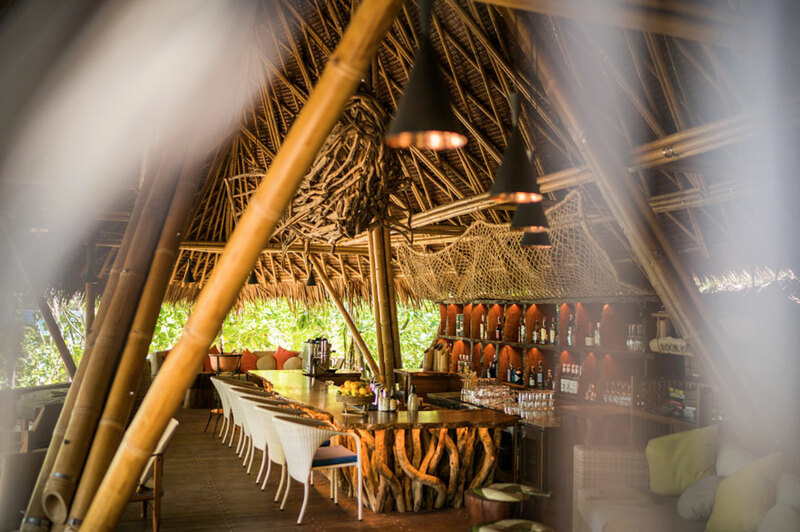 Perfect for groups or family breaks – Bawah Reserve’s Deluxe Beach Suites come with a separate tented-safari Lounge/Living Room area that is perfect for sharing. The lounge and dining areas have been designed to complement the panoramic views and to accentuate a feeling of total privacy, comfort and relaxation during your stay. 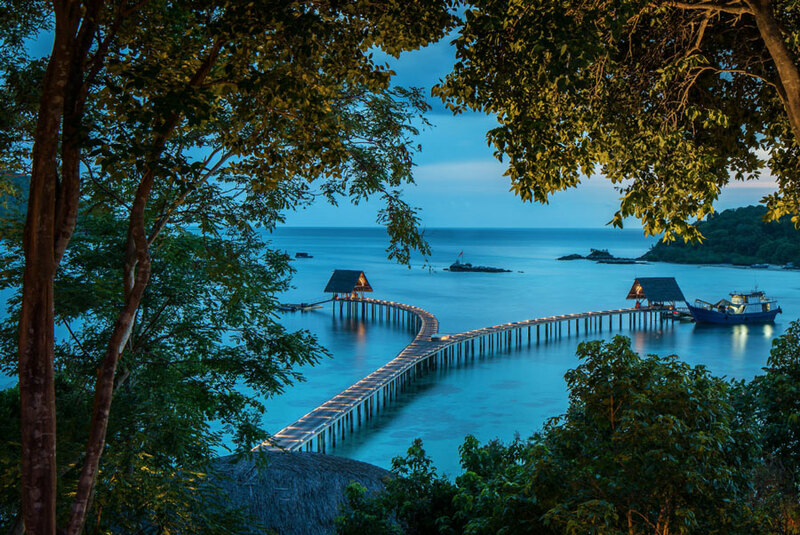 An intimate escape above the water, Bawah Reserve’s Overwater Suites are spacious yet cozy. There are 6 Overwater Suites on the East and 5 on the West. 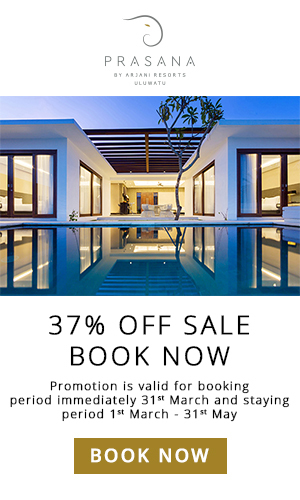 The epitome of barefoot luxury, a truly intimate escape above the water. 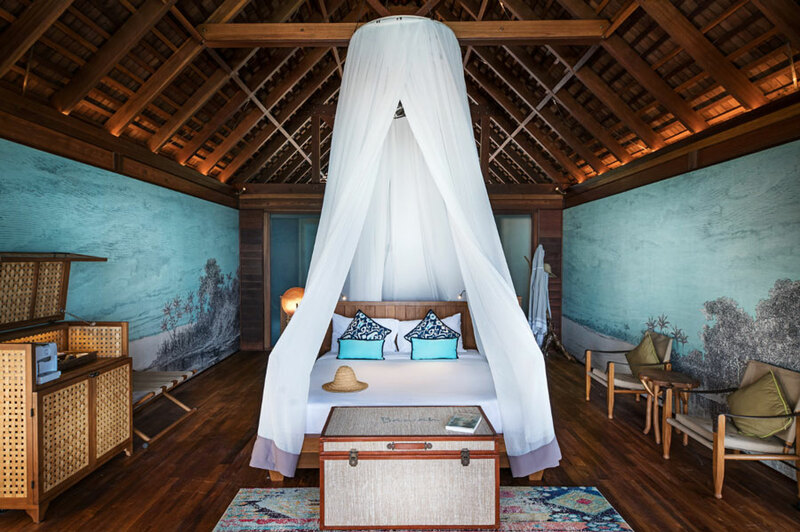 Each suite is adorned with luxury wooden interior and a sundeck overlooking the aquamarine lagoon. Step straight into the sea from your sundeck or curl up in bed and enjoy the breathtaking view. 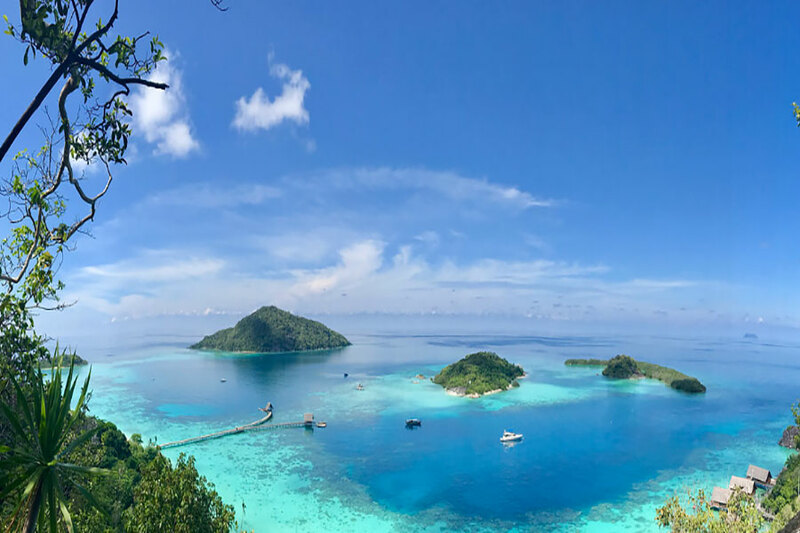 The natural paradise of five islands feels like an untouched world from 10,000 years ago despite being just 160 nautical miles and a 3.5 hours journey from Asian hub Singapore. Start your journey by getting transferred directly from your home, hotel or Singapore Changi Airport to Singapore’s Tanah Merah Ferry terminal. Here you will be met by a member of the Bawah team and escorted on a quick ferry ride to Batam, Indonesia. Fast track through immigration, you will then meet your travel coordinator, Vio, who will guide you through the rest of your journey. 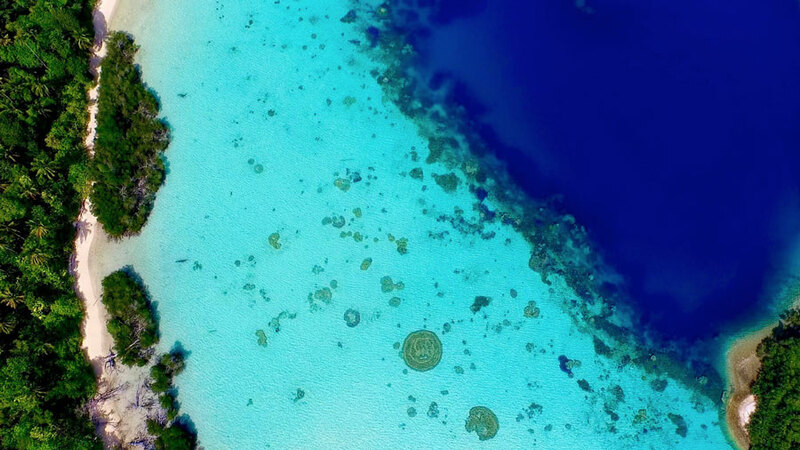 Jump on the scenic 70-minute flight aboard Bawah Reserve’s private plane taking off on land and arriving on water, in the beautiful lagoon right in front of your suite. 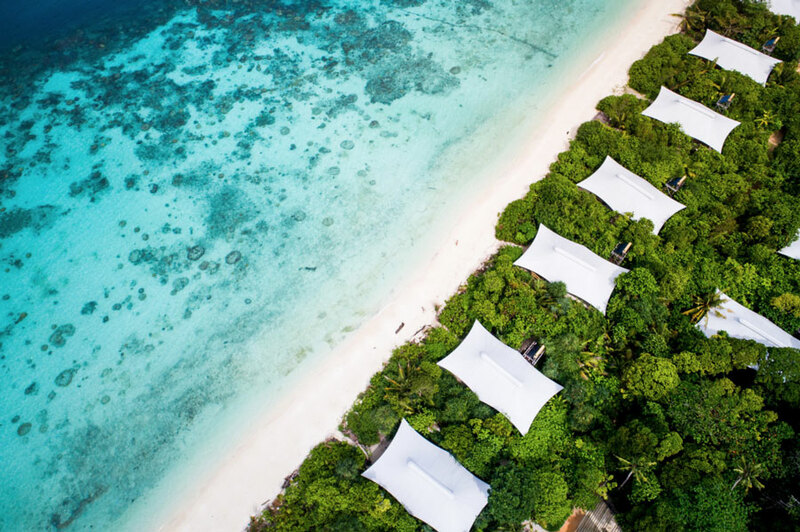 Book Bawah Reserve with The Asia Collective’s luxury concierge service. 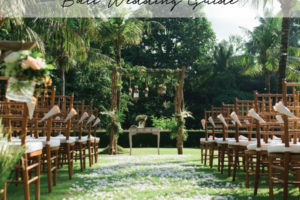 Do you have any questions or need assistance with your booking? 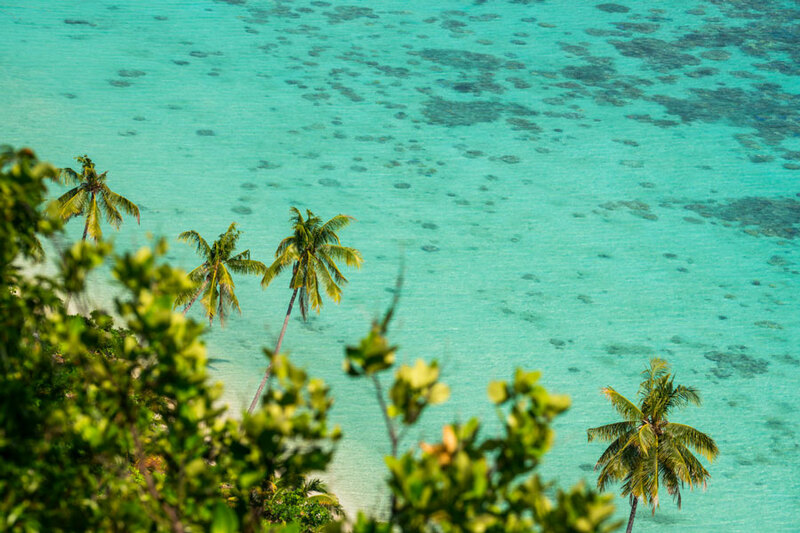 Looking for some more private island escapes? 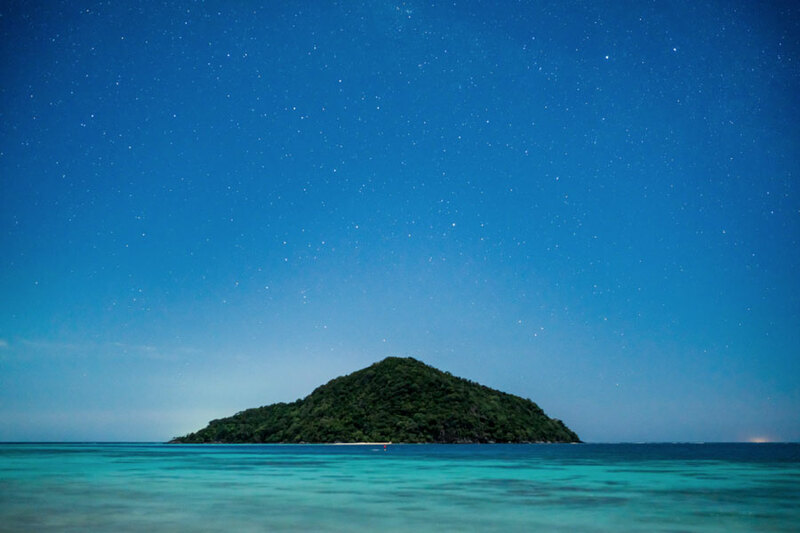 Discover the Best Private Island Resorts in Asia here.